Cornwall and the Isles of Scilly is to become one of just 20 ‘Careers Hubs’ across England to help transform careers education for young people following a successful bid led by the Cornwall & Isles of Scilly Local Enterprise Partnership (LEP). Careers Hubs are made up of local schools and colleges working together with universities, training providers, employers and career professionals to improve careers education. 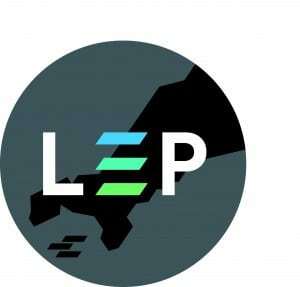 The LEP-funded Cornwall Enterprise Adviser Network has been chosen by the Careers & Enterprise Company to host one of 20 Careers Hubs as part of a £5 million government project over the next two years. The Careers & Enterprise Company was set up in 2015 to transform careers and enterprise provision in schools and colleges across England. Following a successful Careers Hub pilot in the north east, regions were invited to bid in April this year. Careers Hubs are a central part of the Government’s Careers Strategy, published in December 2017. This aims to improve careers education and help prepare young people for the world of work. It is underpinned by the ‘Gatsby Benchmarks’, a framework of eight guidelines about what makes the best careers provision. Schools and colleges within a Hub should have a shared vision of how they will work together to improve outcomes for the young people in their area. The Enterprise Adviser Network in Cornwall is a project that is part funded by LEP and Cornwall Council. It aims to bridge the gap of knowledge between education and employment, by working with both schools and businesses. Click here for further details about the Cornwall and Isles of Scilly Growth Hub.